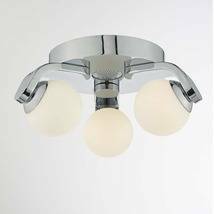 Glamorous ceiling light boasting a polished chrome finish throughout. 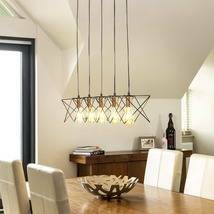 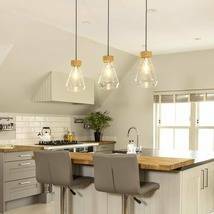 A striking addition to your home, this semi-flush ceiling light is part of the Hanna range from Searchlight. 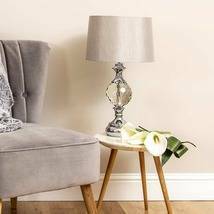 Square in shape and boasting a polished chrome finish, the fitting comes complete with delicate crystal detailing throughout, offering a sparkly effect when lit. 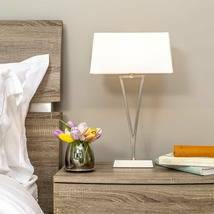 It is ideal for use in lounges, bedrooms, hallways and dining rooms.